Healy was born in Chicago, Illinois. 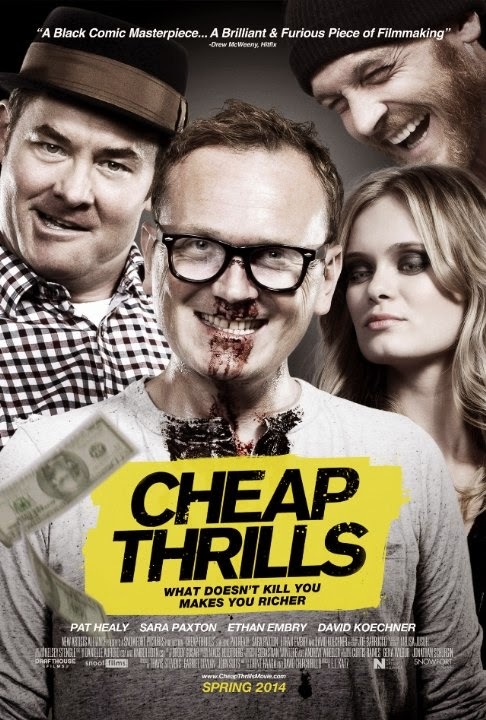 He played the lead character "Craig" in E.L. Katz’ dark comedy thriller Cheap Thrills, and substantial central roles in Ti West's The Innkeepers, Craig Zobel's Great World of Sound, and Compliance (also directed by Zobel). He has also appeared in memorable supporting roles in Magnolia (as the pharmacist at the receiving end of Julianne Moore's profane meltdown), Ghost World, The Assassination of Jesse James by the Coward Robert Ford, Harmony and Me, Dirty Girl, Snow Angels, Rescue Dawn (2006), Undertow, Pearl Harbor, and Home Alone 3. He also appeared in Captain America: The Winter Soldier and Draft Day starring Kevin Costner. On television, he has starred on Eagleheart, and appeared on Six Feet Under, Star Trek: Enterprise, 24, Grey’s Anatomy, The Shield, CSI: Crime Scene Investigation, Without a Trace, NCIS, Cold Case, Charmed, CSI: Miami, Chicago Hope, NYPD Blue, and The Practice. Pat has written three episodes of HBO’s In Treatment (Weeks 1-3 of Walter’s – played by John Mahoney – sessions in Season 2), and wrote and directed the 2000 short film Mullitt starring Healy, Michael Shannon and Henry Gibson. He is an ex-member of the comedy sketch group, "The Pretty Okay Ho-Hum Spectacular on Ice!" . 2015 played also one of the leading roles in the Anthology film Tales of Halloween.